How are the horses doing? Are they comfortable in the trailer? Are they susceptible to any health issues? Will they be able to acclimate to a new environment when you arrive? We’re here to help you put your mind at ease. Our checklist for safely transporting horses by road will help you prepare your trailer and your horses for a worry-free trip. We’re also sharing some guidance from the United States Equestrian Federation (US Equestrian), a major governing body for equestrian sports. In other words, don’t ride with a sick horse! While a healthy horse can withstand fatigue and stress during a long-distance trip, a sick horse will be at much greater risk for shipping fever and other travel-related illnesses. US Equestrian recommends following the Equine Disease Communication Center, US Department of Agriculture and USRider News and Safety Bulletins to stay up to date on disease outbreaks. You should plan to stop your trip every four to six hours for at least half an hour at a time. 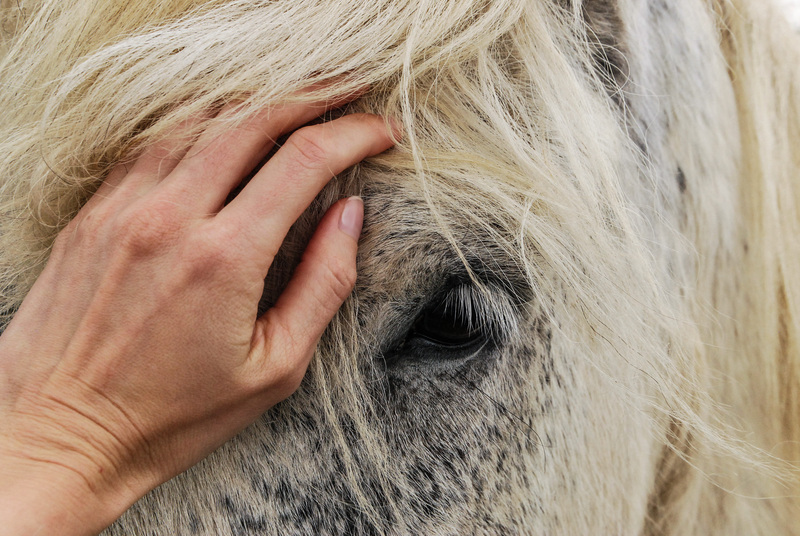 Take the time to check your horse for signs of stress or discomfort, and make sure to offer them water and hay. As US Equestrian puts it, this is “non-negotiable.” Horses need access to water during transport to prevent dehydration and overheating. If possible, bring a tank of water from home in the trailer that will last the length of your trip (including breaks). If you can’t bring that much water when transporting horses by road, some experts recommend giving your horse flavored water about a week prior to your trip. That way, the horse can become accustomed to drinking from unfamiliar water sources. Here at Blue Ridge Trailers, our team has had luck with using peppermint extract, which can cover up unfamiliar smells in the water. The stress of travel can upset the balance of flora inside a horse’s gut, which can in turn lead to digestive troubles and other health problems. Given a few days in advance of travel, probiotics can support a healthy intestinal balance when the horse is stressed. Of course, there are a number of probiotics out there and each horse is different, so it’s always smart to consult with your vet first. You need a steady stream of fresh air in your trailer to keep horses cool, comfortable, and breathing easy. An adequately ventilated trailer is also much less inviting to disease. If you tie your horse’s head too tight, it’ll have trouble coughing to clear dust out of its lungs. Make sure you leave enough room for your horse to drop its head and cough downward. In the midst of all your travel preparations, don’t forget the basics! Tie down containers, buckets, riding gear, first aid kits, and any other objects in your trailer that might otherwise slide loose and collide with your horse. Rumber flooring consists of durable but flexible boards created from recycled plastics. It was designed to replace the old style of trailer flooring: aluminum or wood boards covered in a plastic mat. Since rumber flooring can absorb tension during travel, horses experience much less stress on their muscles during the ride. That means they arrive calmer, happier, and less fatigued. Did you find this information useful? You may also be interested in our seven trailer towing safety tips for peace of mind on the road.